Happy Thursday, readers! I don't have a ton of time tonight because I am sooooooo sleepy, so this post is going to be a little short slash boring. 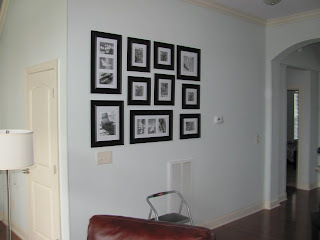 Remember the nesting post from a while back where we were trying to figure out what kind of gallery wall, frames, etc. we wanted? I originally envisioned something with all of the same frames and very symmetrical. Dan had another idea, and for once I am glad he had an opinion. 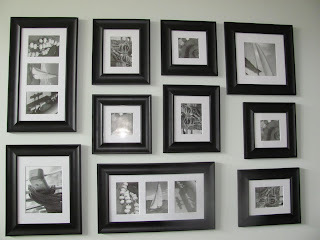 We bought the frames a while back on sale but have just been hanging onto them until we got a spare second to figure out how and where we wanted to hang them. 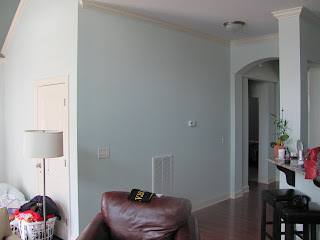 This past weekend we finally got it together and completed the gallery wall project! The layout ended up being only slightly different than the one we planned on the carpet before hand, but I love the way it turned out. 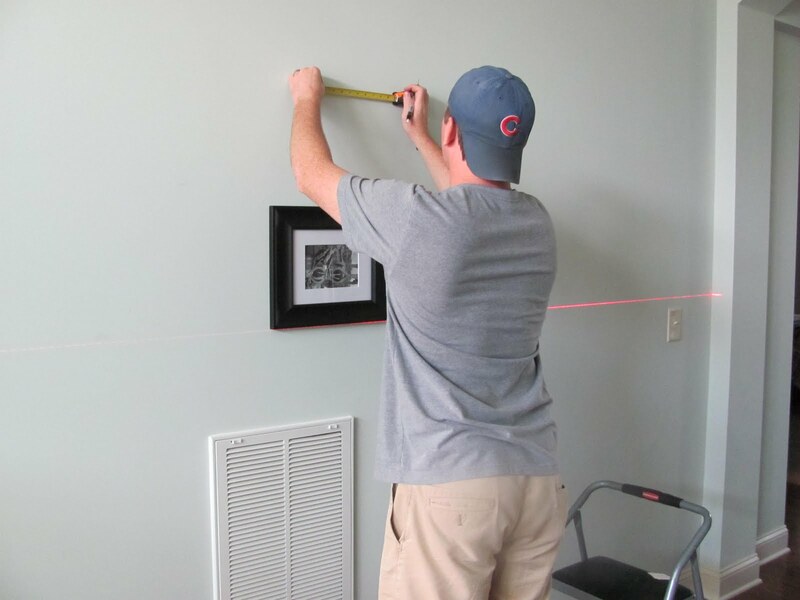 The unit that controls the downstairs temperature hangs on this wall, so rather than put the gallery wall above it, we decided to put it on the left side. 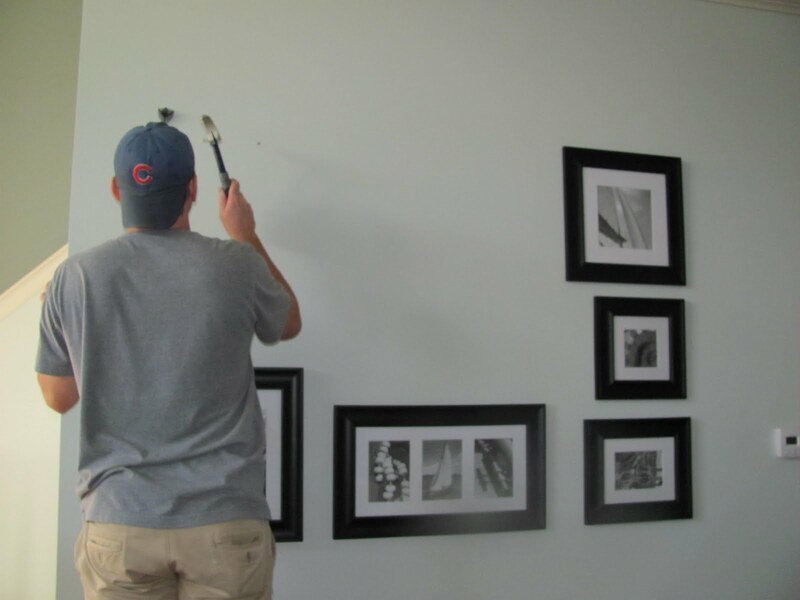 I'm sure we will have a lot more pictures we want to hang when Baby Geronimo arrives, so this way it leaves us some extra space on that wall (in addition to all of the other blank walls in our house, as we have been there for 6 months and I have yet to hang a single photo...whoops). I have promised Dan that next time we will not pick frames quite so complicated. 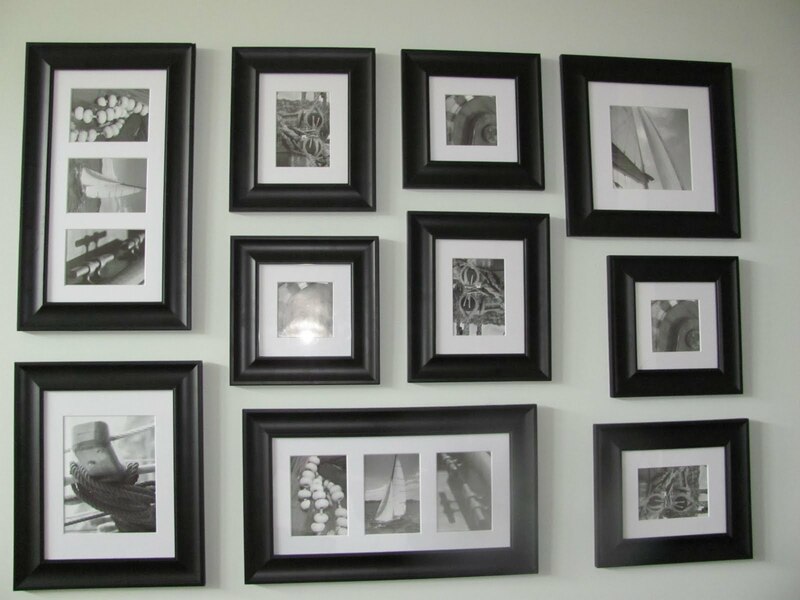 The only thing that's left is to fill them with photos! 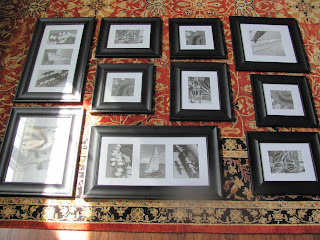 While I like the way the black & white ones that are already in the frames look, Dan requested color photos. 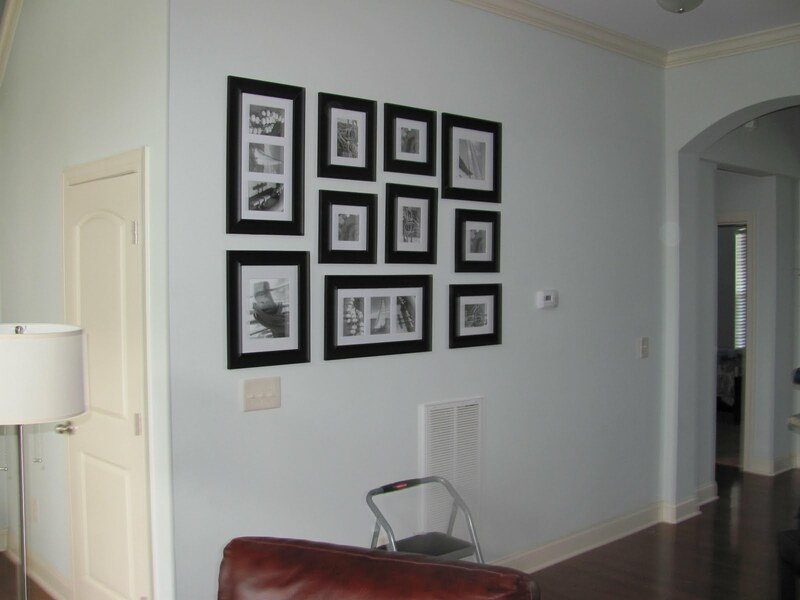 Since his opinion did not lead us astray on the gallery wall to begin with, I think I'll go with it. 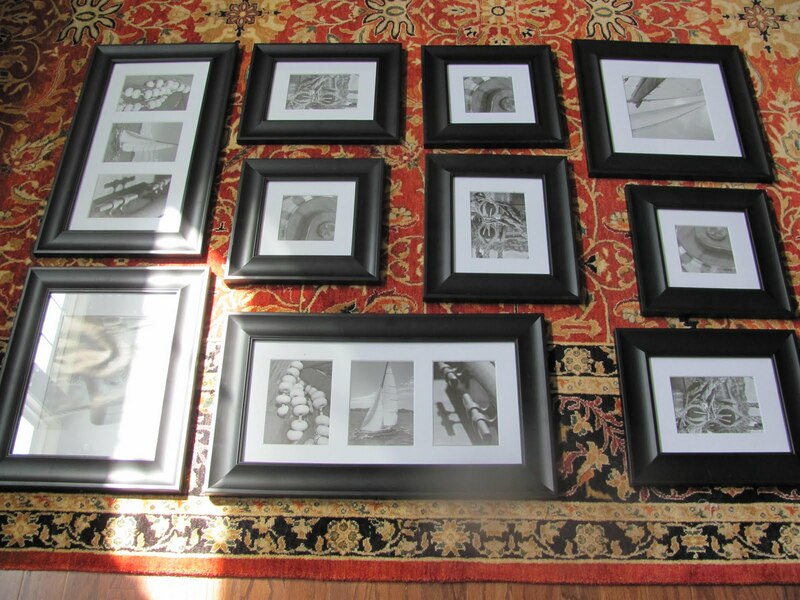 Picture ordering is on the agenda for this weekend. I absolutely love it... Looks soooo good!! Can't wait to see it in person and once you get pictures in them!